Buy tea in support of LDANR! Support your local LDA Chapter by purchasing some tea! 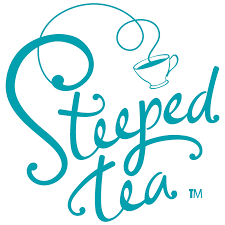 LDANR’s Steeped Tea fundraiser is taking place this year from October 23 – November 10. If you’re interested in purchasing tea from the catalogue, please email projectsLdan@cogeco.net or call the office at 905-641-1021! LDANR 2017 Annual Report Now Available! Click HERE to view LDANR’s 2017 Annual Report. LDANR’s September Newsletter is now available! LDANR publishes a quarterley newsletter. To subscribe, please contact projectsLdan@cogeco.net. View the September 2017 Newsletter HERE! 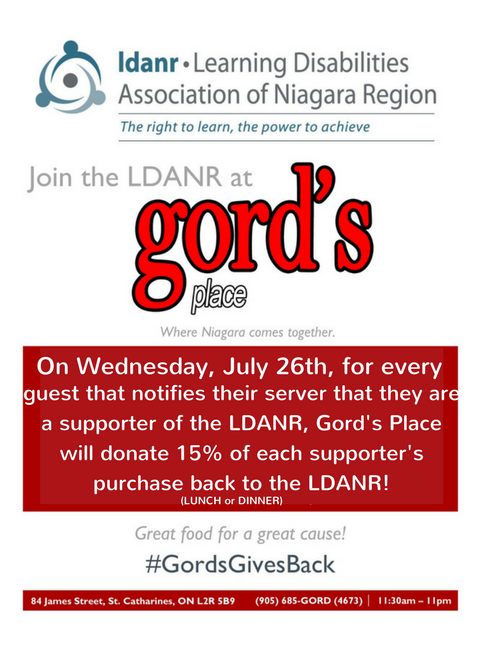 Join LDANR for our first “Walk with me for LD” summer event! We will be walking the trails at Heartland Forest and having a BBQ for all attendees. There will be lots to do for the whole family, including games and activities with lots of fun prizes! 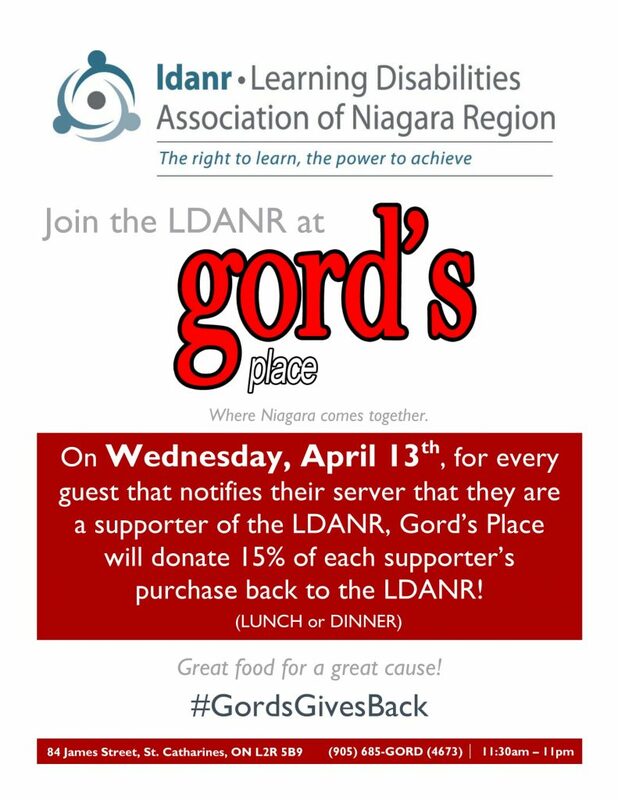 Proceeds will support LDANR’s programs and services in Niagara. 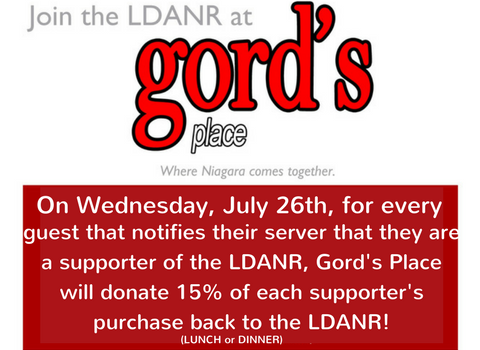 Eat at Gord’s Place and support LDANR! As part of our #canyoureadthis Summer Campaign, LDANR is recognizing the many individuals and organizations involved in supporting our agency! 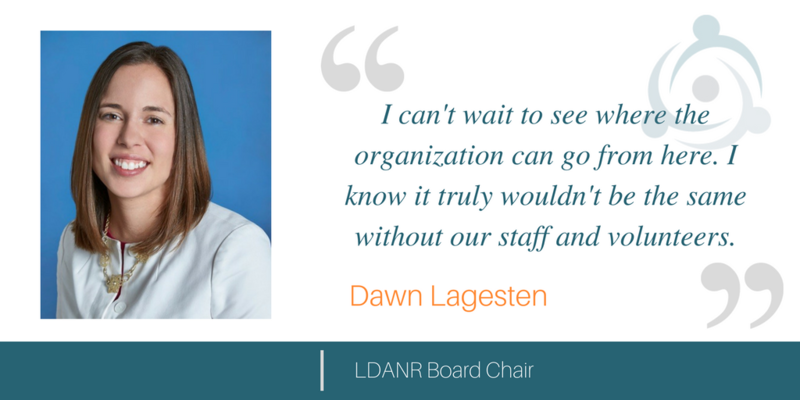 Today we are featuring our Board Chair, Dawn Lagesten, to get an inside look at her involvement with LDANR and why she supports our mission! Read Dawn’s story here! Announcing our FIRST contest of the summer – that’s right, we’ve got more than one! Thanks to RBW Accounting Firm, we have a $25 Indigo gift card to give away to one of our followers! For your chance to win, simply take a picture of your favourite book, post it to Facebook or Twitter with the hashtag #canyoureadthis and make sure you tag LDANR! That’s it! 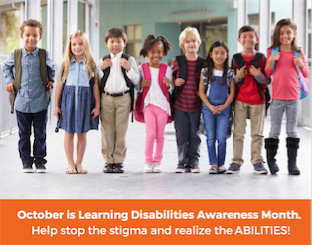 Can you recognize the signs of a learning disability in your child? Read about some of the signs here!